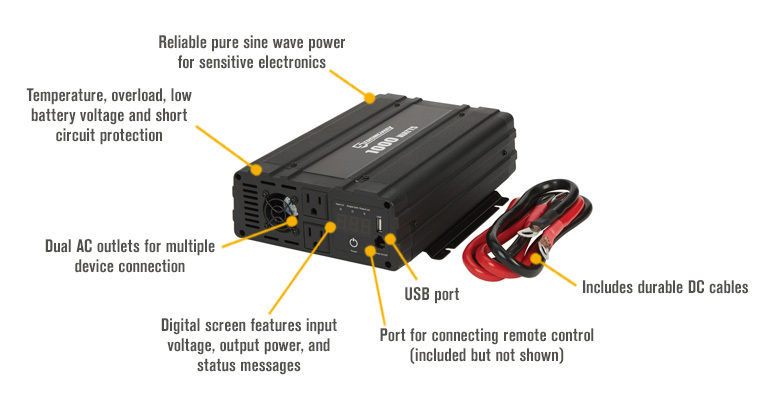 Product SummaryThe Strongway Pure Sine Wave Power Inverter converts 12V DC to clean, reliable AC pure sine wave power. Great for use with sensitive electronics. Features soft start technology, low battery protection and short circ.. 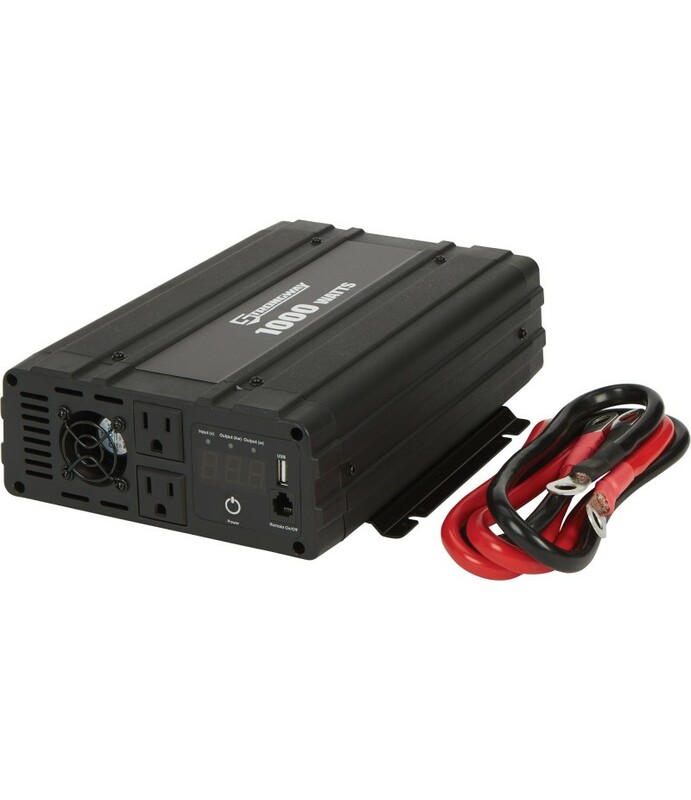 The Strongway Pure Sine Wave Power Inverter converts 12V DC to clean, reliable AC pure sine wave power. Great for use with sensitive electronics. Features soft start technology, low battery protection and short circuit protection. Includes cables and a 5V 2.4A USB port for added versatility.